There's a lot of DIYing going on in the nursery right now. I feel like I've been almost done with decorating for the past several weeks. But sometimes it seems the To Do list is growing instead of shrinking. 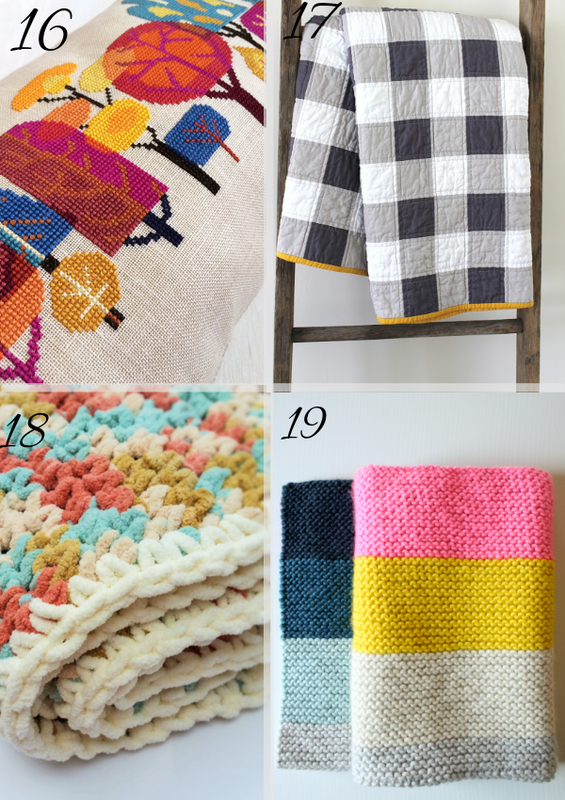 Today, I'm going to take a break from sewing pillow covers and laying down carpet tiles and show you where I've been getting some of my inspiration. I also snuck in a couple of peeks of how my own baby's room is coming along. 1. Erin from DIY On The Cheap made this adorable hand-painted animal art. 2. 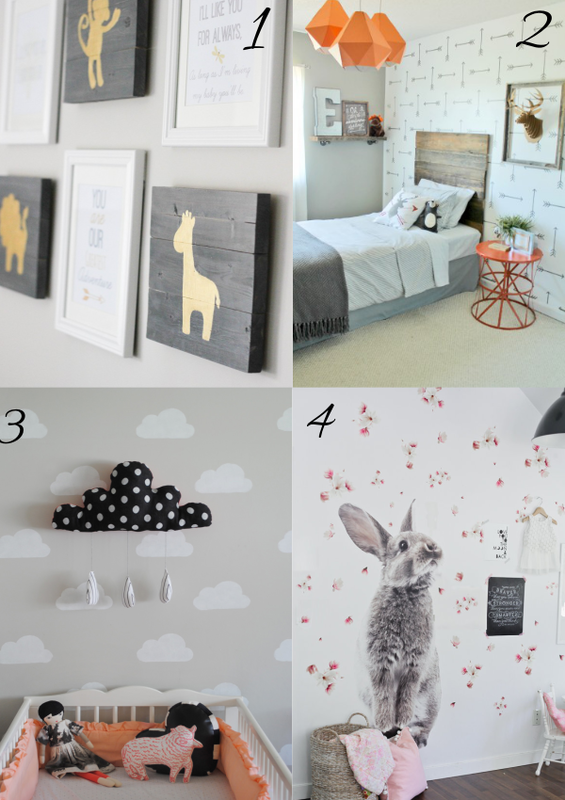 I can't tell you how many stencil patterns I considered for the nursery. I love stenciling because it's so much cheaper than wallpaper and it's not a big deal to paint over a few years down the road. This arrow stencil from Cutting Edge Stencils caught my eye. 3. 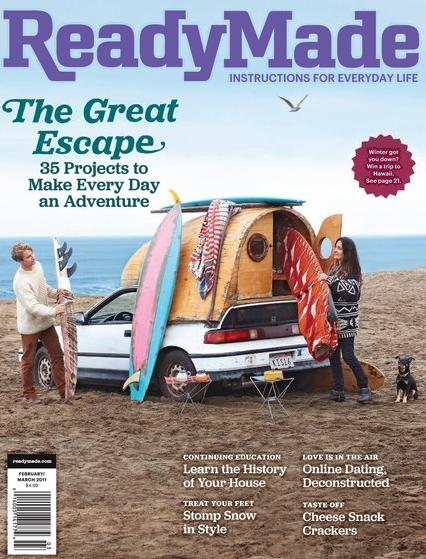 On Mer Mag I found this simple DIY stencil idea for a wall of clouds. 4. Creating a mural with vinyl decals was another idea I considered. Urban Walls sells this amazing rabbit wall decal. How cool is that? 5. This modern Herringbone Shuffle stencil from Royal Design Studio is perfect for brightening up a wall. Image via On To Baby. 6. Here's my own bee stenciled wall. You can see how I made it here. 7. I'm still considering putting some vinyl dots on the wall of my older kids' room. Image via Apartment Therapy. 8. In a nutshell: WOW! 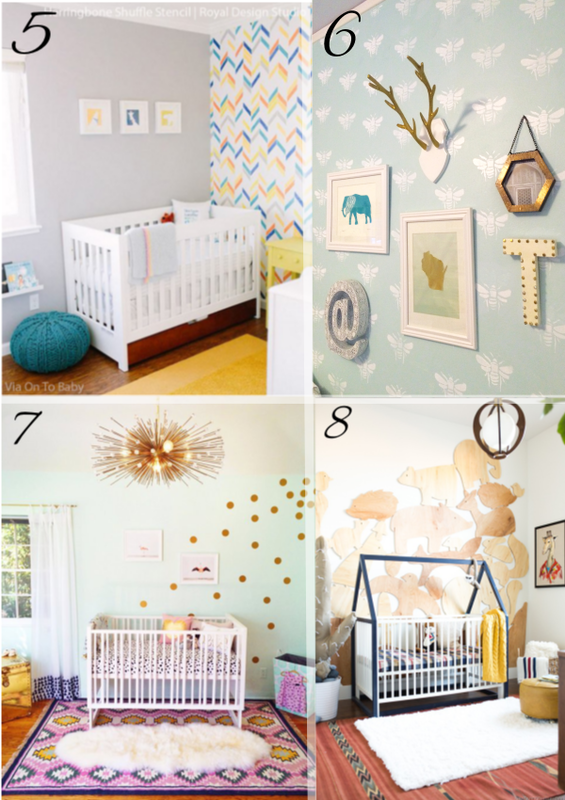 Mandi from Vintage Revivals designed the most adorable baby boy's room I've seen in a long time. Check it out here. 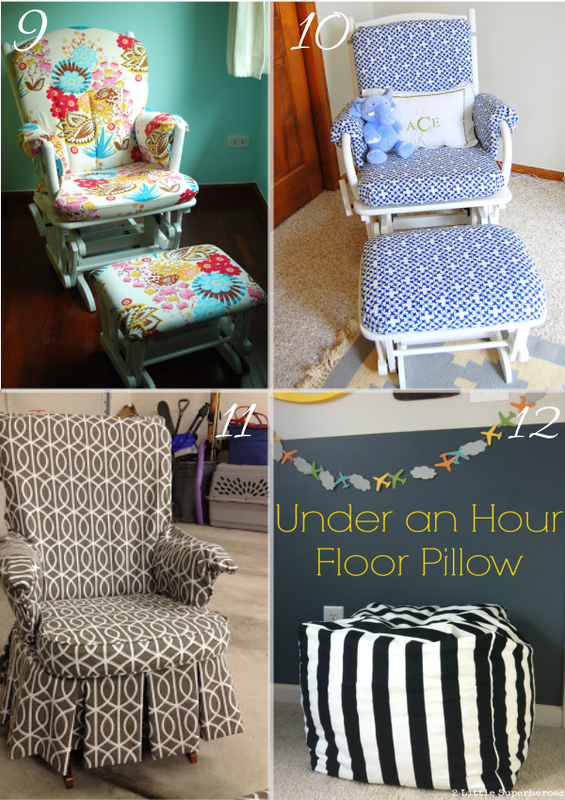 I didn't have a comfy chair the first 2 times around, so a glider was top on my list of must-haves for the nursery. I bought a thrift store glider that's yet to be made over, but that's not because I've been short on inspiration. 9. I love the vintage-inspired fabric that Adrianna from Crafterhours chose for her glider makeover. 10. Katie, aka The Sewing Nerd, went preppy with hers. Love the results! 11. 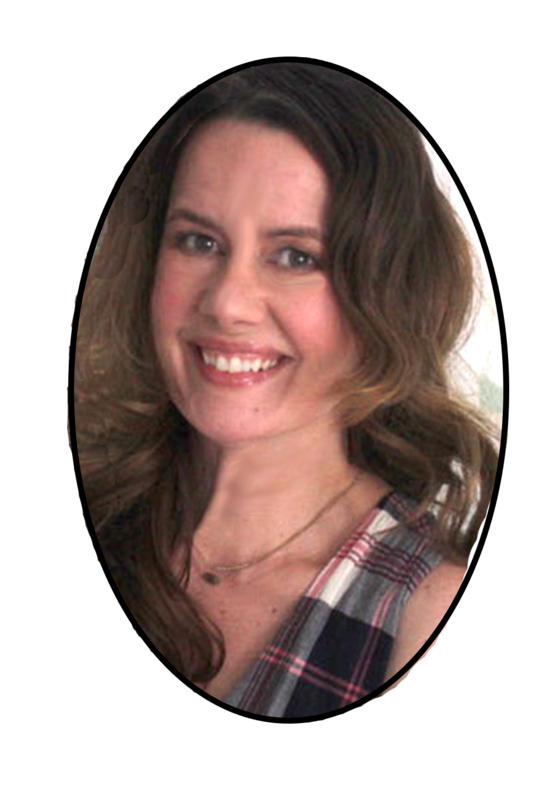 Find out how to completely cover a glider with DIY slipcover on Antonia's blog Practically Polished. Poufs are another obsession of mine. I've seen so many cute DIY versions. Here are a couple of my favorites. 12. I can't get enough of stripes. Danielle from 2 Little Superheros managed to make her pouf with only 2 yards of fabric. Find out how she did it here. 13. Stacey at Addison Meadows Lane made this West Elm knock-off pouf for less than $35. Nice work! 14. 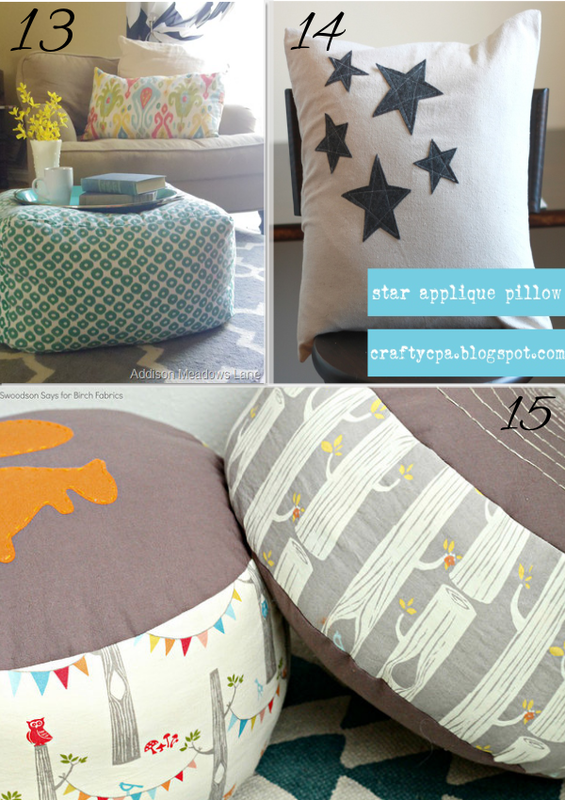 Here's an easy tutorial for appliquéing a cute pillow (or pouf). At some point, you'll probably get sick of DIYing. In that case, you can just buy this 645 Workshop here. 15. I can't resist one more pouf and this one is my favorite. Get the free pattern at Birch Organic Fabrics. Now for some crafty bedding ideas. 16. I'm seriously considering making this cross stitch pillow. The pattern is from Statsuma Street and you can purchase the downloadable PDF here. 17. How cute is this patchwork gingham crib quilt! 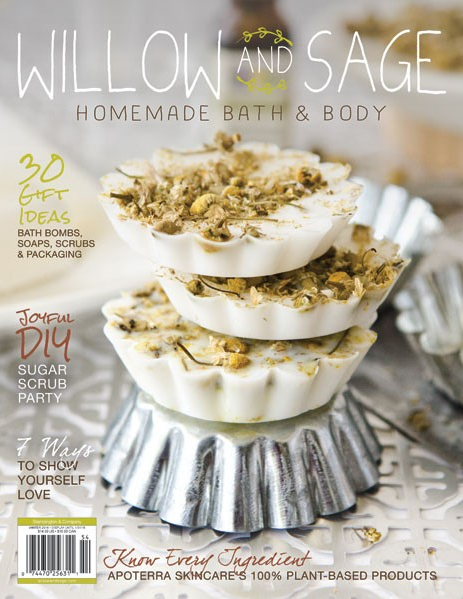 Find out how to make it at CB Handmade. 18. Twisted Fibers Designs has this adorable crochet baby blanket pattern. 19. I liked this Purl Soho Super Easy Crib Blanket pattern so much, I decided to make one. If you can do a basic knit stitch, you can make this! 20. Love a little vintage touch in a nursery. 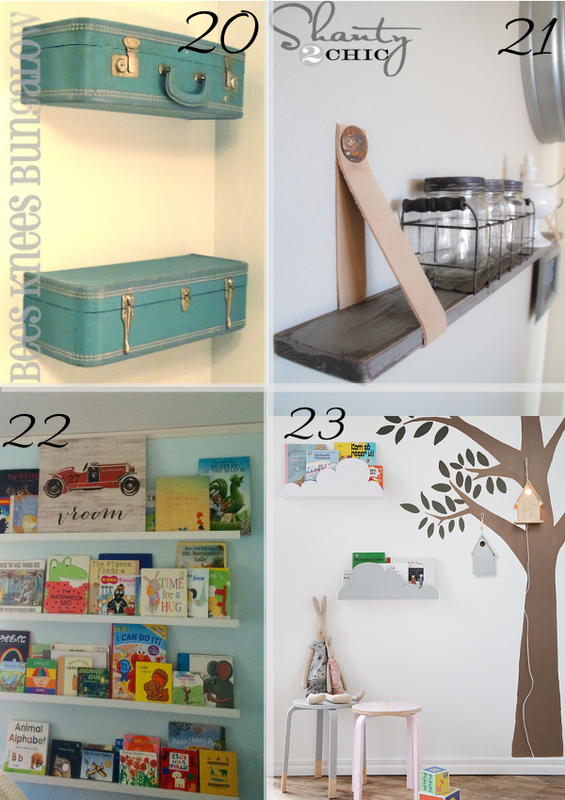 Check out these vintage suitcase shelves at Bees Knees Bungalow. 21. Lather strap shelves are a simple and affordable way to organize in a baby's room. 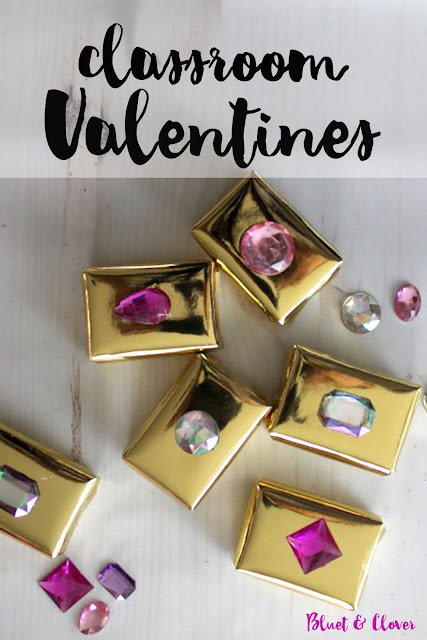 Find out how to make them on Shanty 2 Chic. 22. Here's another little peek at my own nursery. I used four 45-1/4" Ikea Mosslanda picture ledges to make a library wall. I'm so happy with the way it turned out! 23. Here are the same Ikea shelves with cute a cute cloud cutout embellishment. See more at Trendenser. 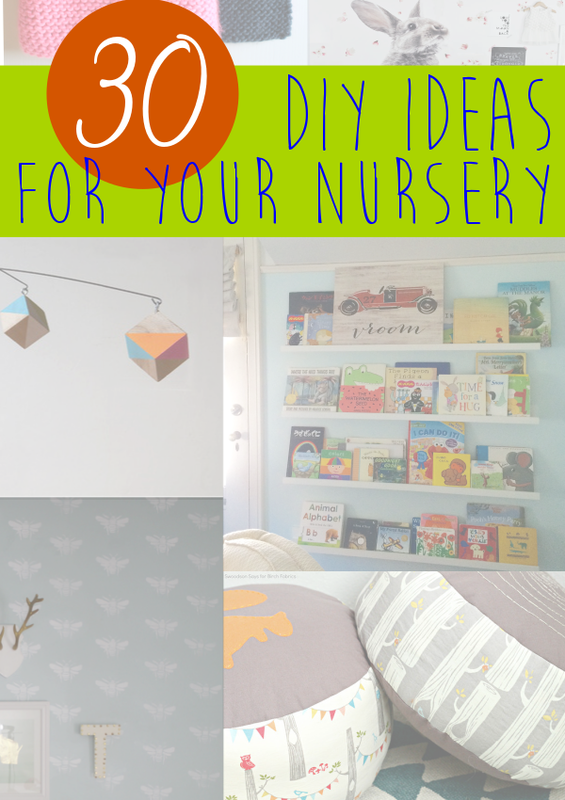 It's not a nursery until the mobile is hung. 24. 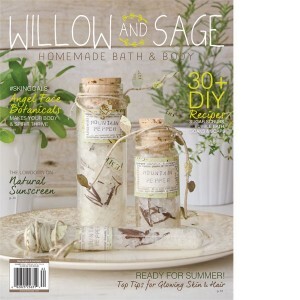 Cec at Ceci Bean will show you how to make this stylish woodland mobile. 25. Your baby's room will reach new heights of cuteness with Jess's Up and Away Mobile. 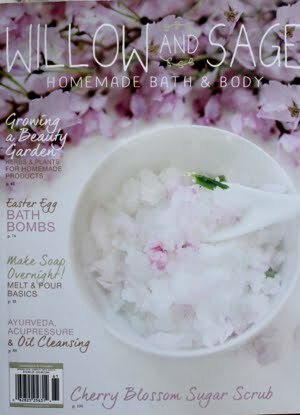 Find the tutorial on her blog, Craftiness Is Not Optional. 26. 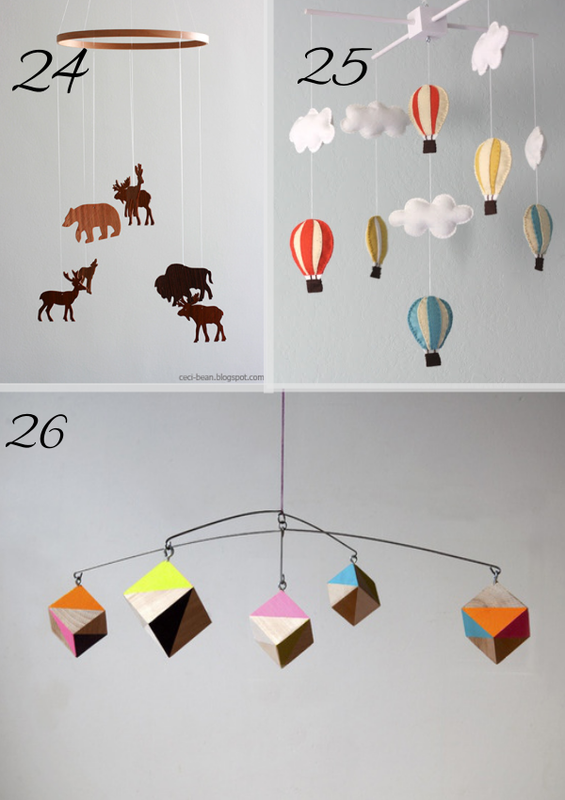 Or go modern with this geometric mobile tutorial from Curbly. Now for a few sweet finishing touches. 27. Jill at Meet The Dubiens framed her baby's little footprints. How sweet is that? 28. 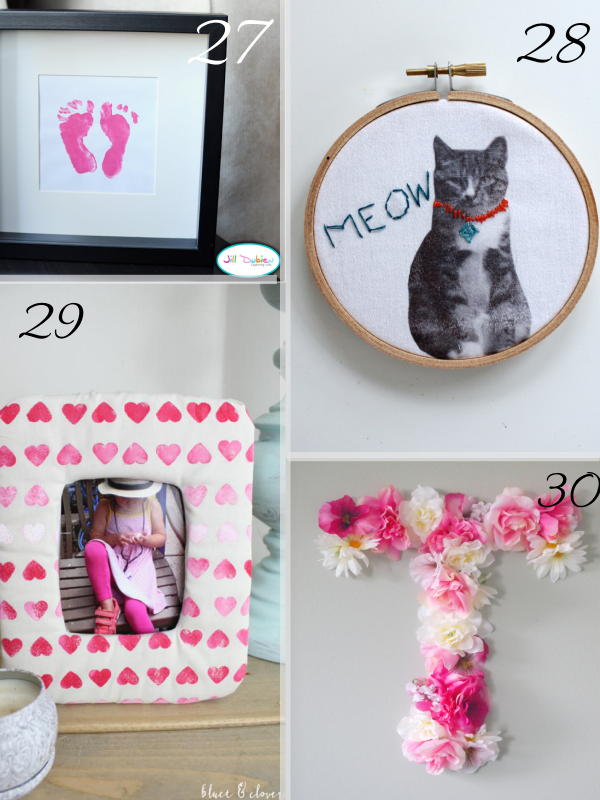 I made these quick stitch iron-transfer wall hangings for the nursery a while back. Find out how to make these here. 29. Another one of my easy and super affordable (it didn't cost me anything) projects is this frame I made with cardboard and a scrap of muslin fabric. Get the tutorial here. 30. You have to see how cute this floral monogram looks inside a vintage frame at Decoist.